Some materials are very sensitive to water and oxygen when doing chemical experiment. So it is hard to finish the research. 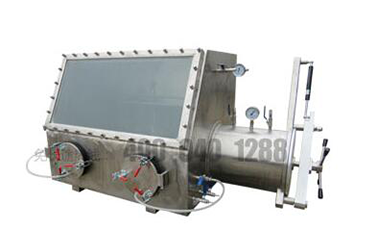 Although vacuum vessel can satisfy anaerobic and vacuum degree, it is not convenient for operating the procedure. 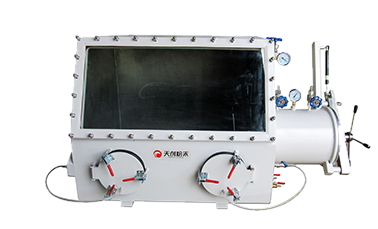 Vacuum glove box solve the environment and operation problem. 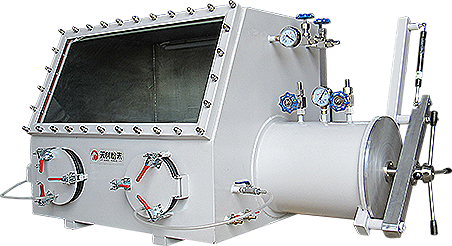 The stainless steel vacuum glove box is a laboratory equipment which can be filled with high purity inert gas into the box to filter out the active substances circularly. It is also called glove box, operation box, inert gas protection box, and dry box. It is mainly composed of main box, transit room and base. If user has special requirement, it can also be customized and designed according to customer needs.There are 2 or 3 glove interfaces. In front of the main box, user can clearly view the inner situation. There is one vacuum ball valve on the main box body. It can be used according to user’s needs. The ball valve can be connected with water faucet when needing water or ventilation. Light bulb can be also installed. Transit room means the transition between the main box and outdoor, composed by two sealed doors, two vacuum ball valves and one room. Two doors isolate main box from connecting with the outdoor, making material putting in and taking out for lab easily. 1. The whole box is made of stainless steel with reinforced plastic and surface spray, it is strong enough with corrosion resistance and easy to be cleaned. 2. The front side of the operating box is made of tempering glass, it has wide angle without dead corner. 3. The interior lighting and the porous socket can be locally heated by the electric stove. 4. The gloves are made of thick latex gloves,well-sealed and durable. 7. The two doors of the transition chamber solve the problems of repeated vacuum extraction for the main box. Thank you for your interests in Changsha Tianchuang Powder Technology Co., Ltd. Please feel free to submit your inquiry information to us. our sales manager will contact with you as soon as possible.